Three times Jesus asked Peter if he loved Him. Why three times? One reason was so that Peter could “make up” for the three times he denied Jesus. No, Jesus did not need Peter to apologize three times, but Peter needed to express his love three times and Jesus knew it. Three is also a number of perfection. For example, we say God is “Holy, Holy, Holy.” This triple expression is a way of saying that God is the Holiest of all. 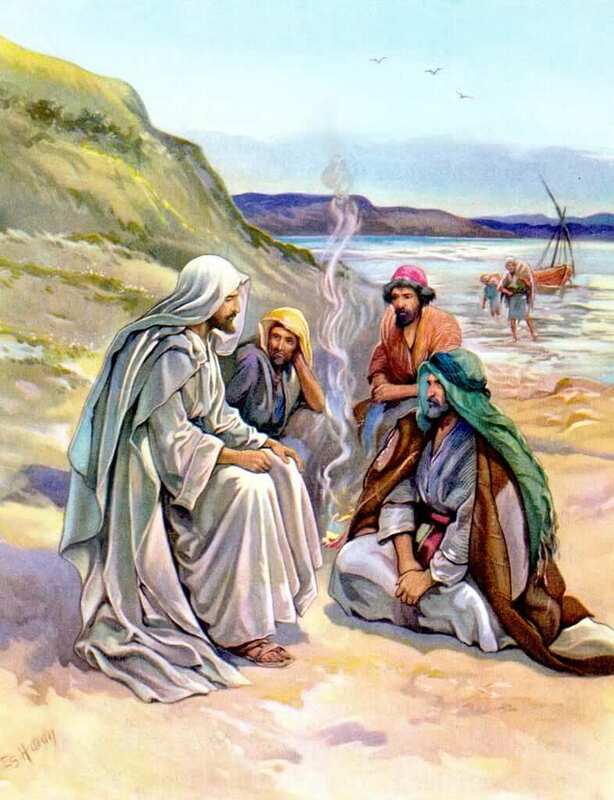 By Peter being given the opportunity to tell Jesus three times that He loved Him it was an opportunity for Peter to express His love in the deepest of ways. So we have a triple confession of love and a triple undoing of Peter’s denial going on. This should reveal to us our own need to love God and seek His mercy in a “triple” way. When you tell God that you love Him, how deep does that go? Is it more a service of words, or is it a total and all-consuming love? Is your love of God something that you mean to the fullest extent? Or is it something that needs work? Certainly we all need to work on our love, and that is why this passage should be so significant to us. We should hear Jesus asking us this question three times also. We should realize that He is not satisfied with a simple, “Lord, I love You.” He wants to hear it again, and again. He asks us this because He knows we need to express this love in the deepest way. “Lord, You know everything, You know that I love You!” This must be our ultimate answer. This triple question also gives us the opportunity to express our deepest longing for His mercy. We all sin. We all deny Jesus in one way or another. But the good news is that Jesus is always inviting us to let our sin be a motivation for deepening our love. He doesn’t sit and stay angry at us. He doesn’t pout. He doesn’t hold our sin over our heads. But He does ask for the deepest of sorrow and a complete conversion of heart. He wants us to turn from our sin to the fullest extent. Reflect, today, upon the depth of your love for God and how well you express it to Him. Make a choice to express your love for God in a triple way. Let it be deep, sincere and irrevocable. The Lord will receive this heartfelt act and return it to you a hundredfold. Lord, You do know that I love You. You also know how weak I am. Let me hear Your invitation to express my love for You and my desire for Your mercy. May I offer this love and desire to the fullest extent. Jesus, I trust in You.